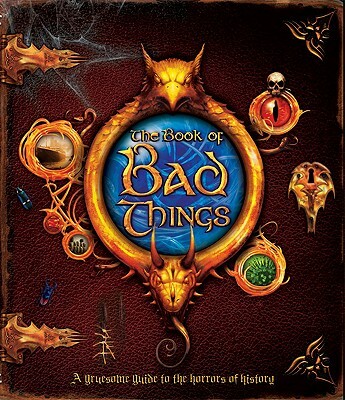 Our "Book of Bad Things" is a book about THE "Book of Bad Things"--a long-rumoured, much feared volume that some people believe has been present at many of the bad happenings in the world throughout history. The narrative converns the author of our book, Count Droffig, who has spent a lifetime trying to uncover the dark secrets of "The Book of Bad Things." His suspenseful story is packed with cyptic puzzles and interactive etras, all framing a wealth of carefully researched factual information about bad stuff, in all its manifestations. Count Droffig is the best-selling author who has written hundreds of aticles and more than 100 books under the pseudonym Clive Gifford. For Kingfisher, Clive's titles include The Kingfisher Motorsports Encyclopedia, The Kingfisher Soccer Encyclopedia, Kingfisher Knowledge: Spies, and The Kingfisher Book of Living Worlds, and many more. Clive lives in Manchester, England.